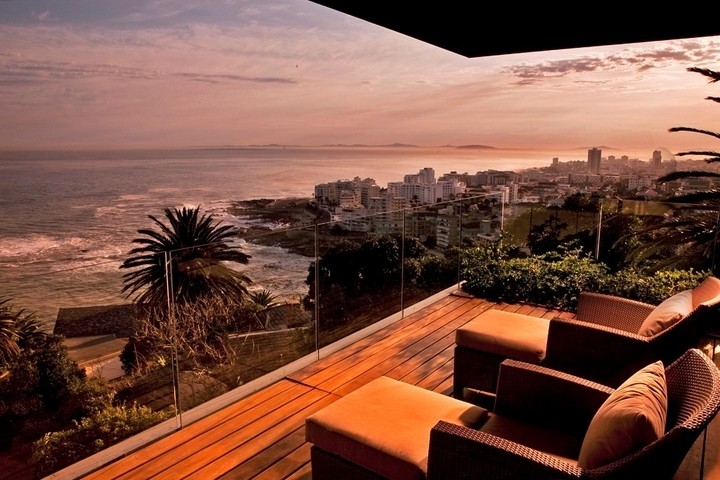 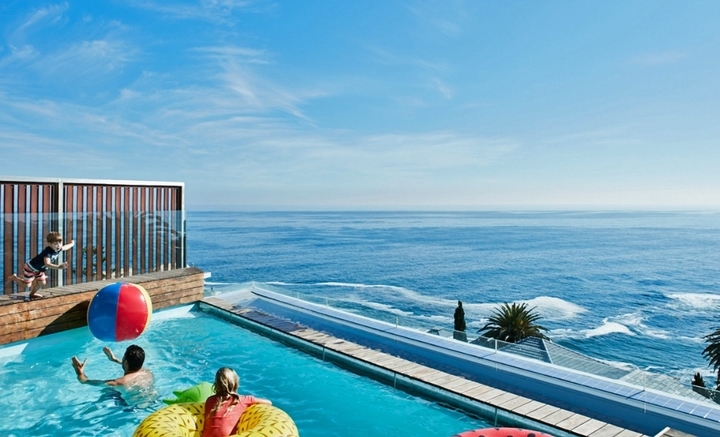 Why stay at ELLERMAN HOUSE VILLA ONE? 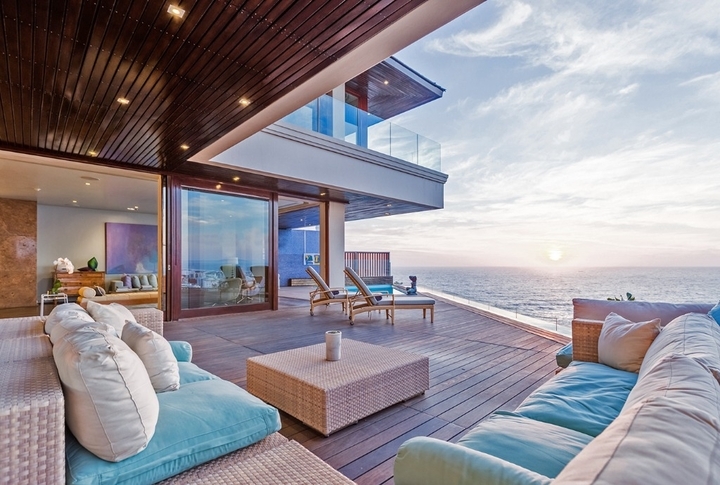 Luxury has a new address. 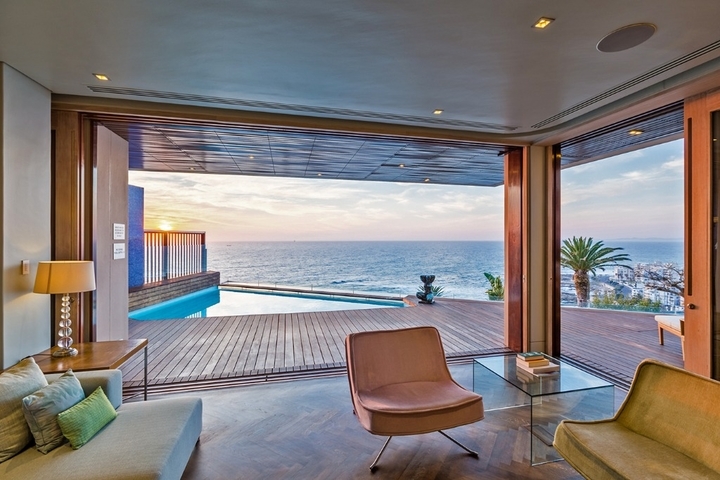 The Ellerman House Villa One epitomizes lavish Capetonian living, affording guests an unmatched level of privacy and service. 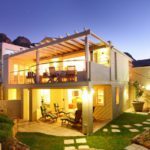 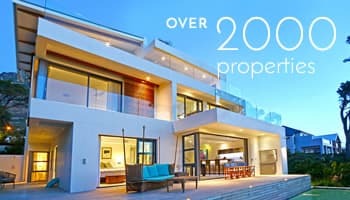 Standing independent of Ellerman House, this three-story Villa has five spacious bedrooms, an entertainment area with a deck and pool, a TV lounge, dining room, study and fully equipped kitchen. 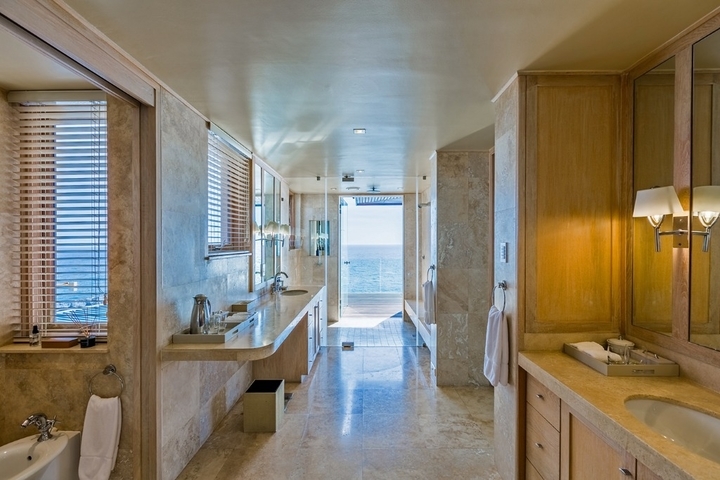 The entire five-bedroom Villa, including the two ground floor Spa rooms, plus a relaxation area with infinity pool and steam room. 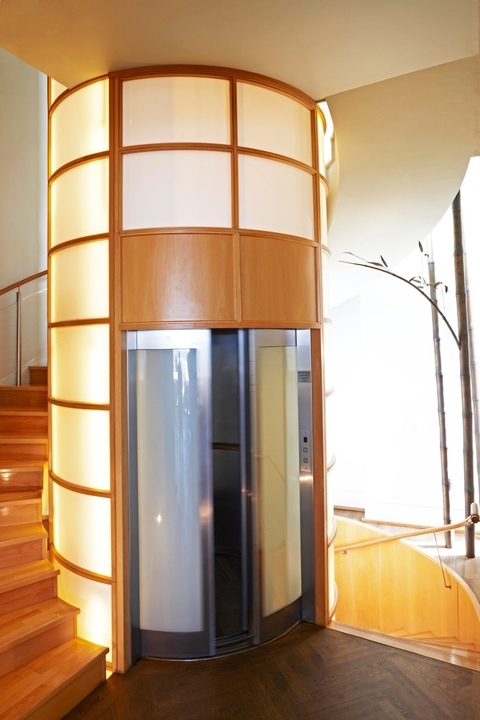 The bedrooms are accessed either by lift or stairs. 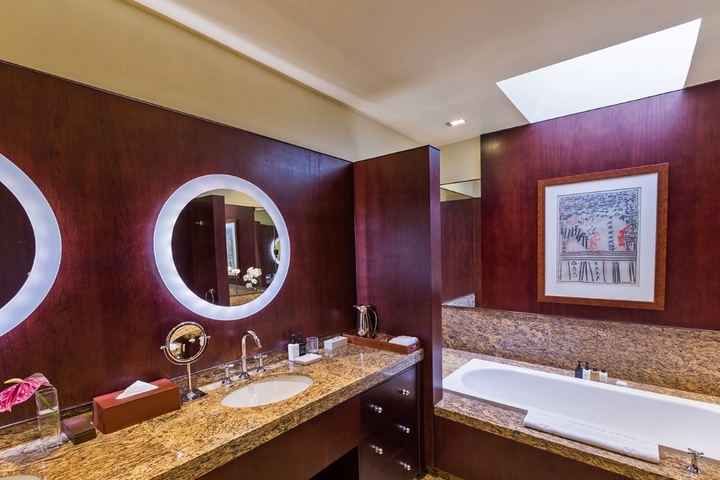 Each has a spacious bathroom with infinity mirrors and luxury bath products. 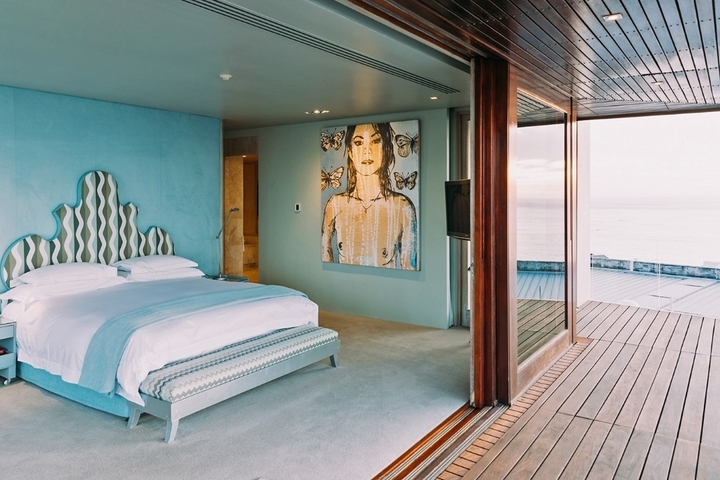 The main bedroom, with king-size bed, is decorated in aqua and cool creams, and is defined by a bathroom that opens out to incredible ocean views. 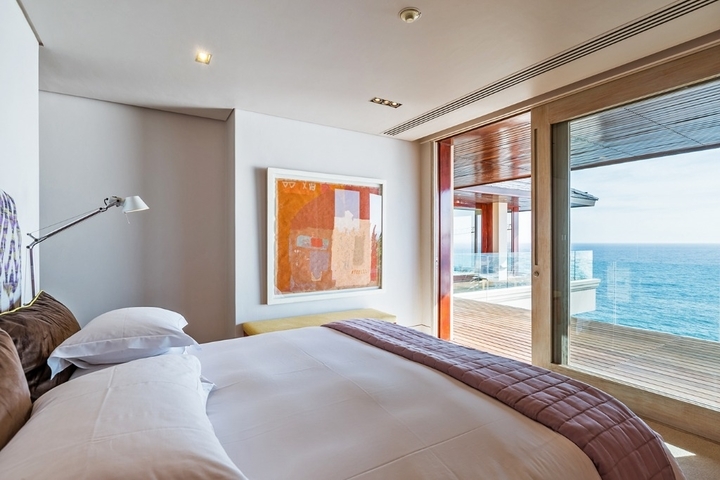 The second bedroom, also with superb views of the ocean, is dominated by a king-size bed, and has a striking Bali-style bathroom. 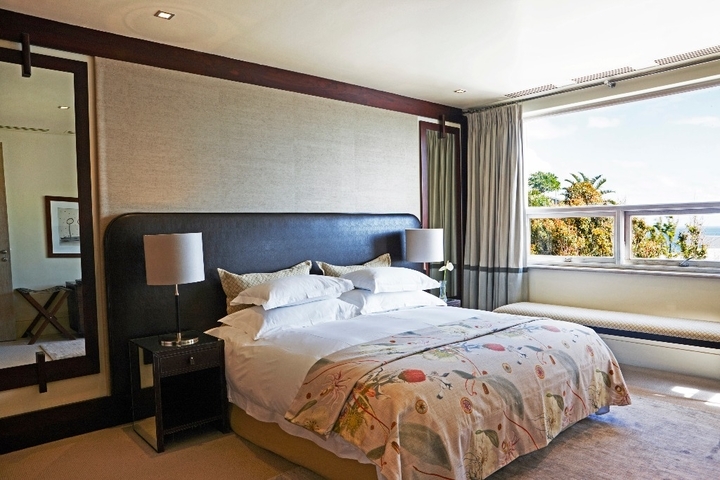 The third bedroom looks towards the Twelve Apostles mountain range and has two single beds – all rooms can be converted into king or twin beds. 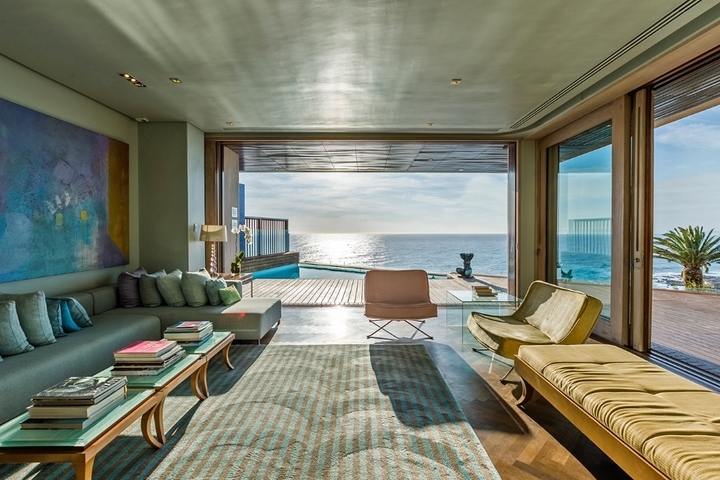 Modern architecture and a breathtaking private location with beautiful Atlantic Ocean views define Ellerman House Villa One’s completely exclusive accommodation. 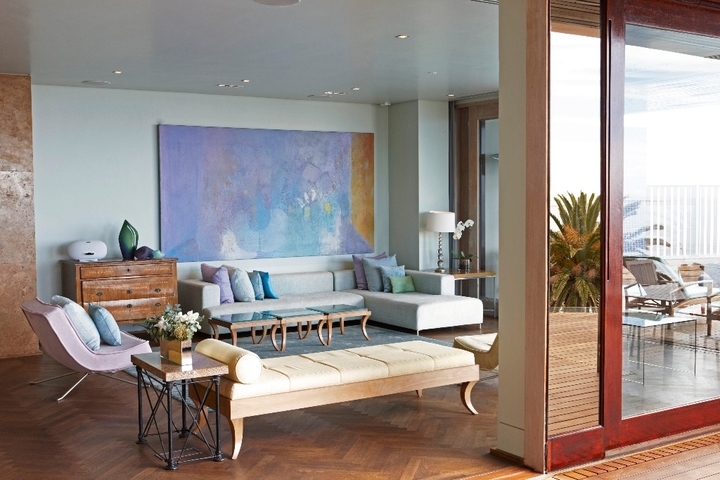 Separate to Ellerman House yet on the same property, Villa One offers all the benefits with life’s ultimate luxuries – complete privacy and discreet, highly personalised service. 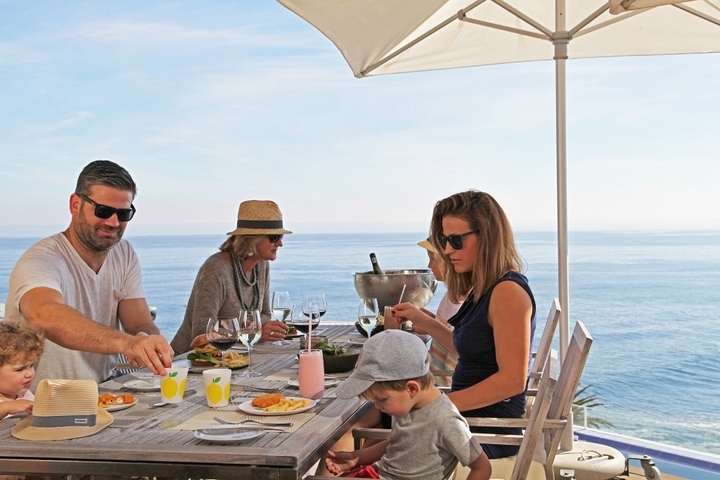 Villa One is ideally suited to families. 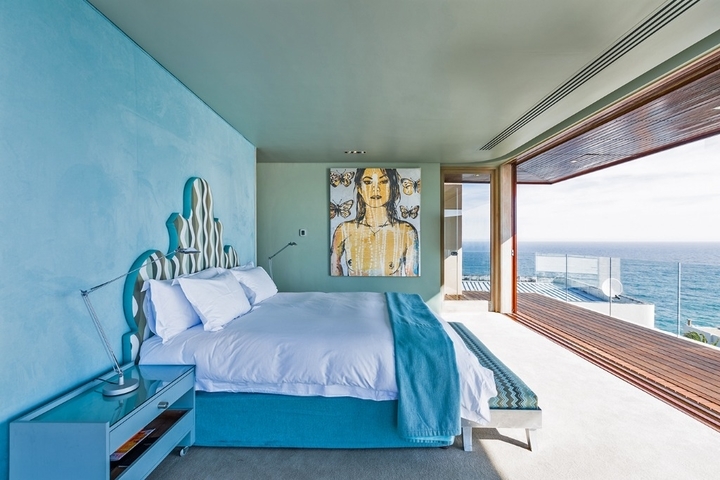 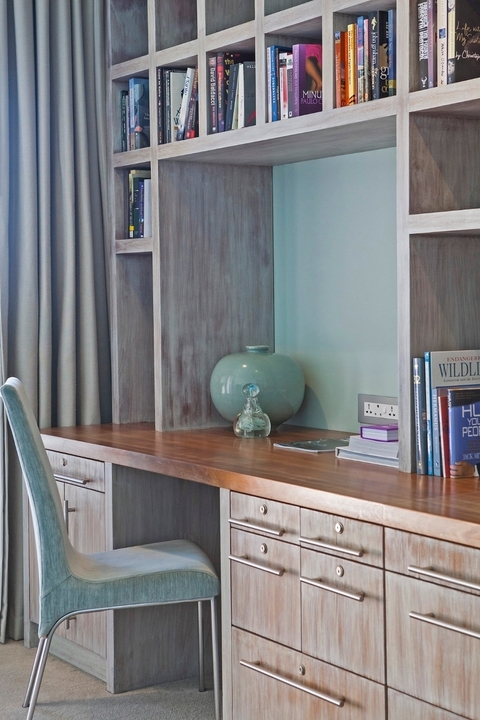 To complement the old-world elegance of the original Ellerman House, Villa One adds a glamorous, contemporary edge. 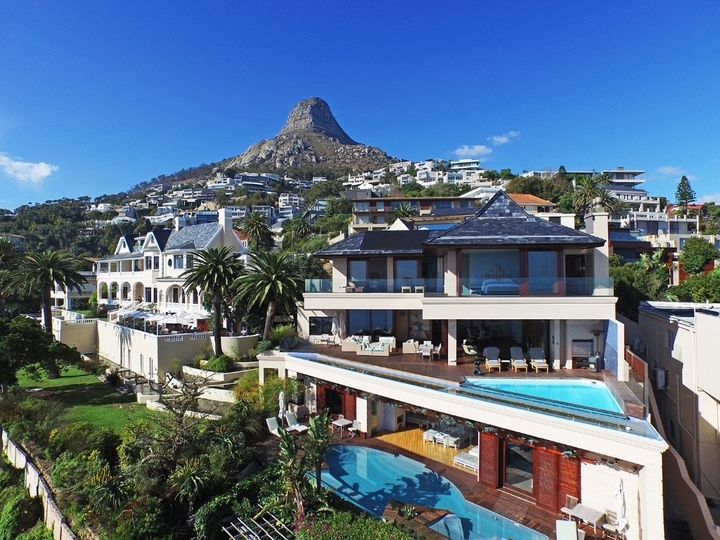 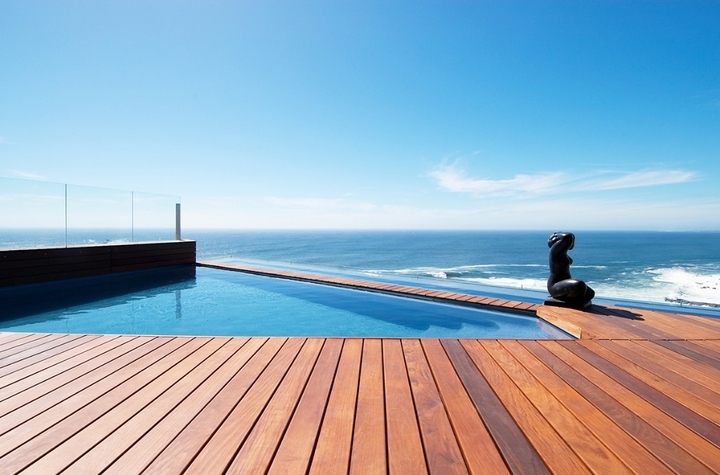 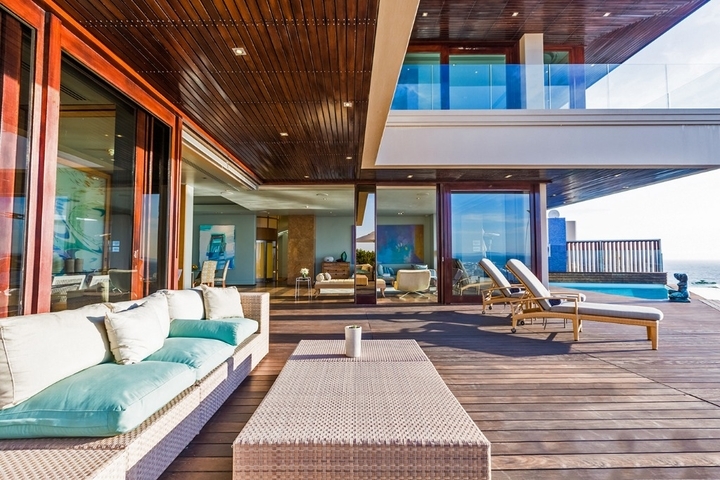 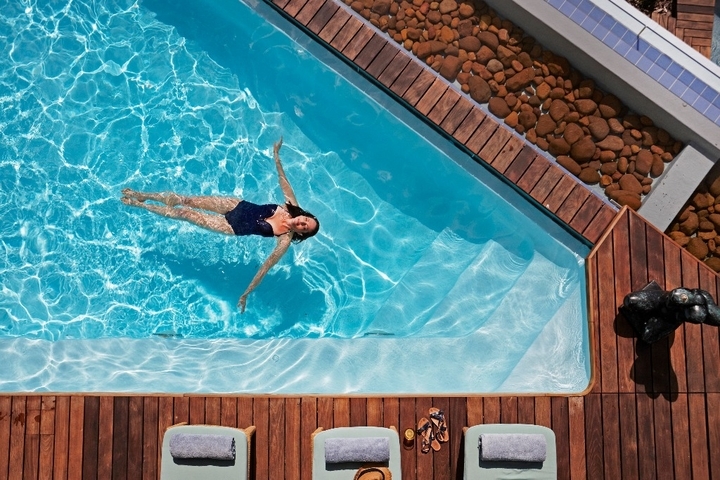 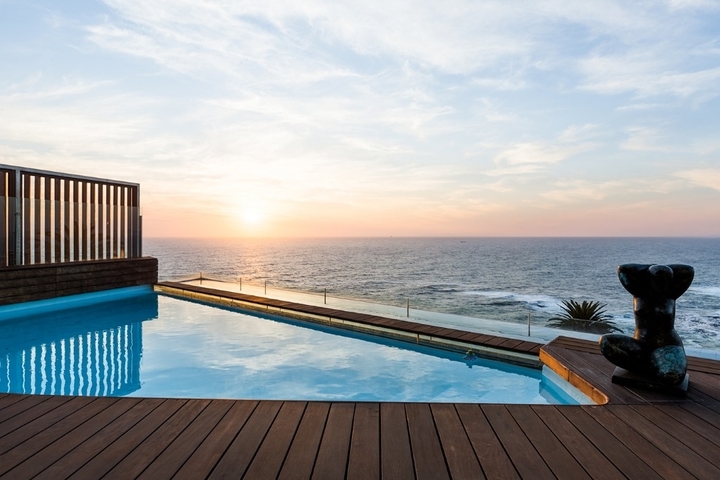 With accommodation for up to 10 people, spacious entertainment and relaxation areas and a private infinity pool, Villa One epitomises the glamorous beach lifestyle for which Cape Town has become world famous. 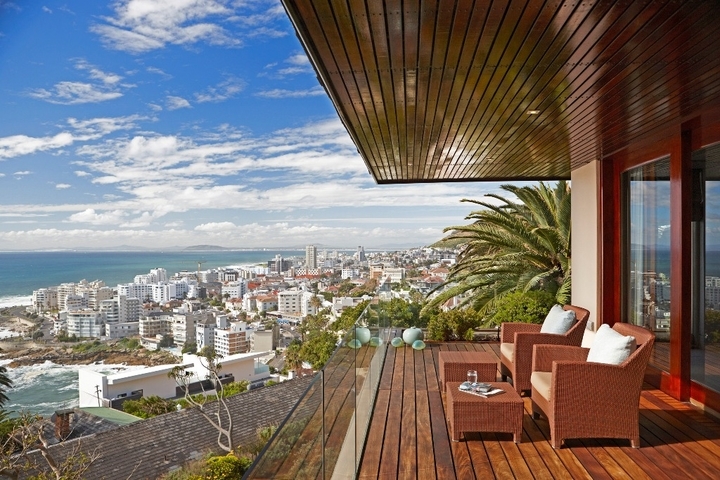 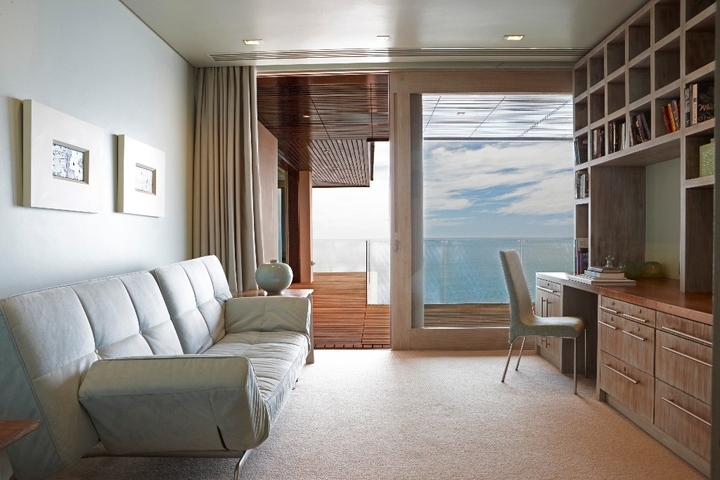 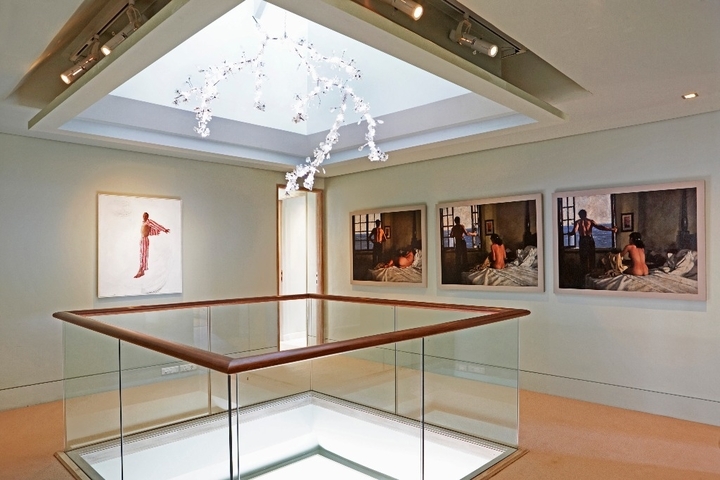 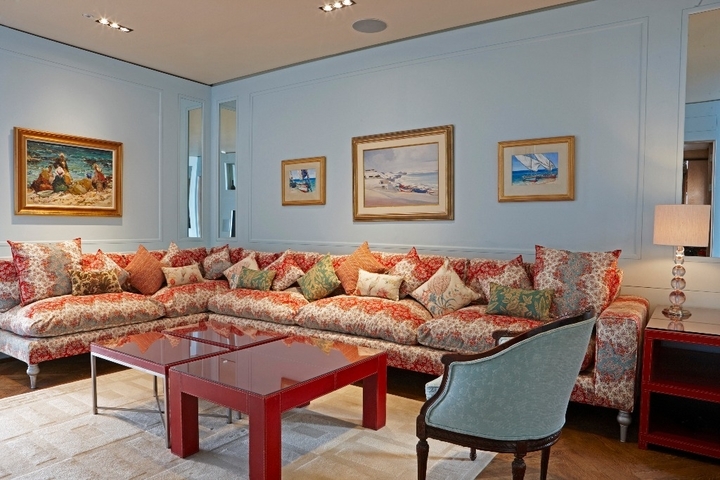 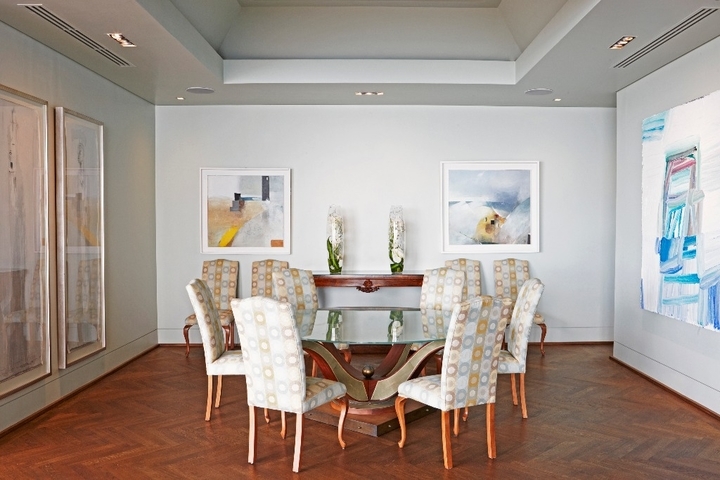 Ready to stay at ELLERMAN HOUSE VILLA ONE?